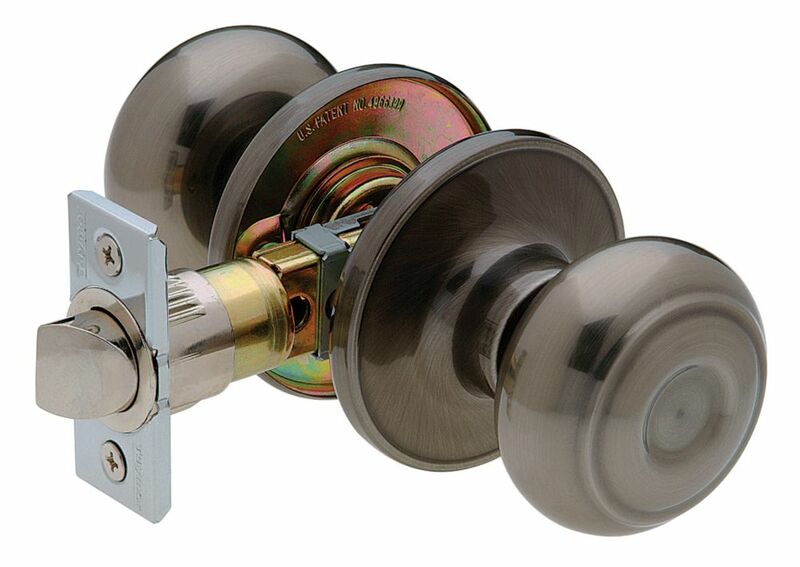 The Schlage Georgian Knob Hall and Closet Lock in Satin Nickel is perfect for use on doors where locking is not needed. The modest Georgian knob features symmetrical detailing throughout, and is especially popular in our versatile Satin Nickel finish. Plus, it's been designed and tested with strength and durability in mind. Manchester Antique Nickel 6-1 Dome Passage Knob Our Professional line of locks includes our most popular styles in a wide range of finishes - the perfect choice for professionals and DIYers alike!